At first glance flowboarding would look like regular surfing: there's rushing water, there's a board, and you're on a pair of boardies trying not to fall and get smacked by a wayward board. But the similaries end there. The more obvious is that flowboarding uses a smaller board, about the length of a wakeboard, but with the same profile as that of a skateboard. And unlike a surfboard, a flowboard doesn't have fins, and is smoother at the bottom. The most fundamental difference though is that in surfing, the water is on your back pushing you and your board towards the shore. 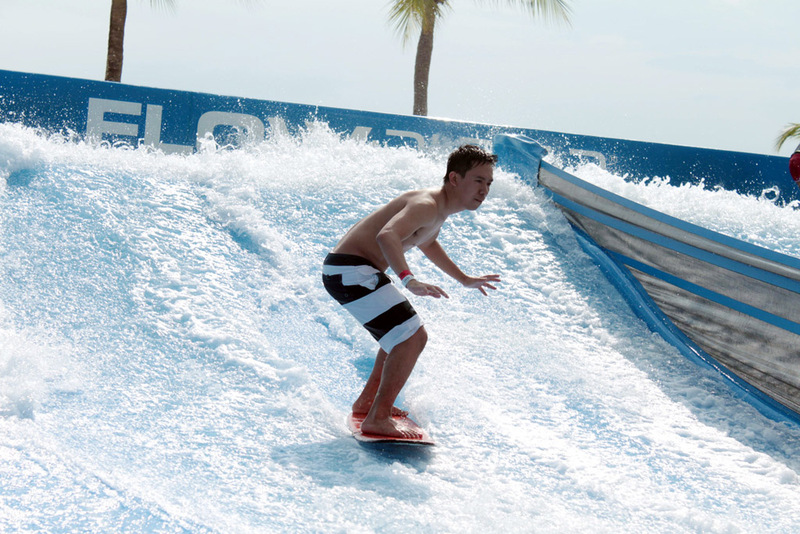 In flowboarding, water is pumped in front of you, at a rate of 30,000 gallons per minute. You ride over the 3-inch sheet of water generated by the pumps - with speeds up to 20mph - using the board. 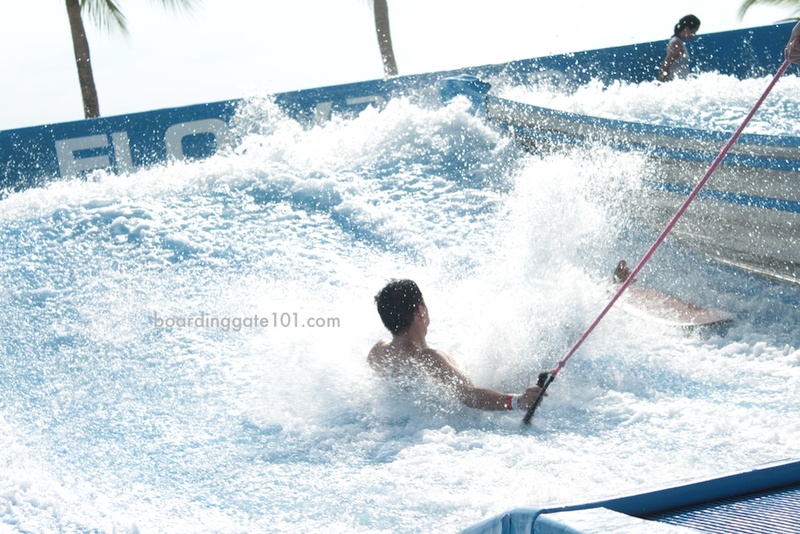 While you start surfing by paddling to generate velocity, you start flowboarding by positioning using a cable similar to the one used in waterskiing. Once you're in position and achieved balance, you can let go of the rope and ride the board. You can do maneuvers and carve turns, much like in other board sports. 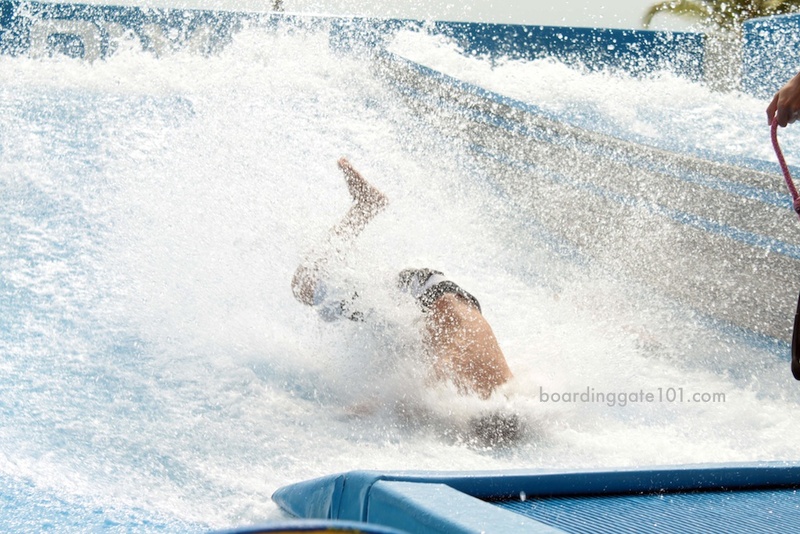 As with surfing, you use your torso, legs and feet to control and maneuver the board. 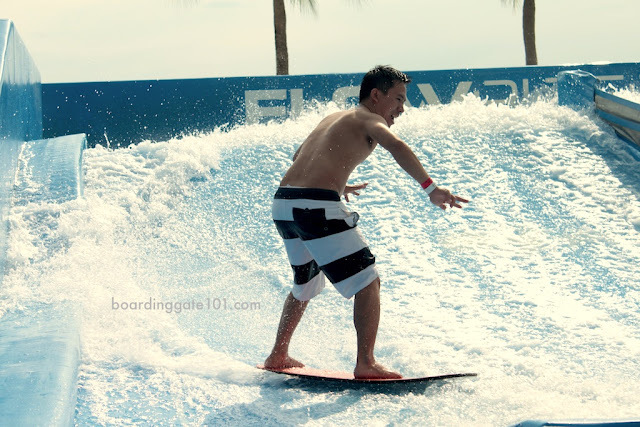 Because the the flow of water is relatively constant, flowboarding is easier to learn than surfing. Changing conditions, such as wave size and strength, are taken out of the equation. But that doesn't mean that it's less fun. All you have to do is keep your balance, firm up your footing, and be present to the infinite wave in front of you. Flowboarding in Singapore is done in Wave House Sentosa [Wave House website]. Rates are SG$40 per hour on weekends, SG$35/hour on weekdays. More advanced flowboarder can try the FlowBarrel, which is more challenging with two sheets of water that flows over a skateboard park-like surface. Beginners can use the bodyboard instead of the regular flowboard. Sentosa is accessible via the Sentosa Express. It terminates in VivoCity mall (and is connected to the SMRT by the North-East or Circle line.